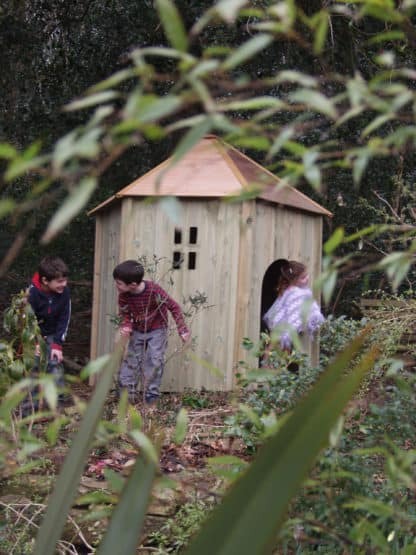 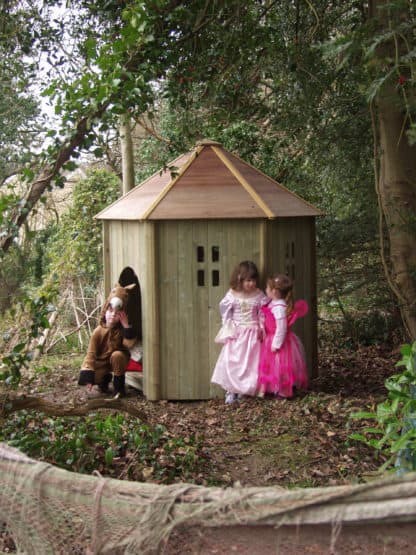 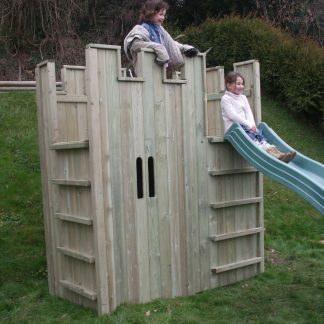 The All Out Play Jungle Hut is a fantastic wooden den that will allow children to play outside for hours. A roofed hexagonal structure, with flexibility to allow any arrangement of the panels, the All Out Play Jungle Hut is the perfect wooden playhouse to get imaginations going! 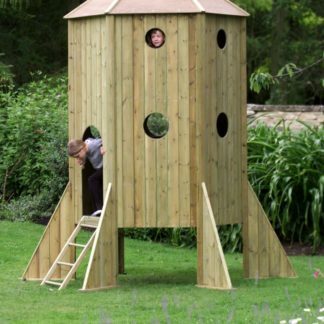 Looks great in all gardens and has a wooden floor base for comfort and stability.